Try IBM Compose, the database engine on IBM Cloud that powers over 10 open source relational and NoSQL databases. This video shows you how to get up and running quickly creating a MongoDB deployment using Compose. This video shows you how to add a database and some documents to an existing MongoDB deployment using Compose. 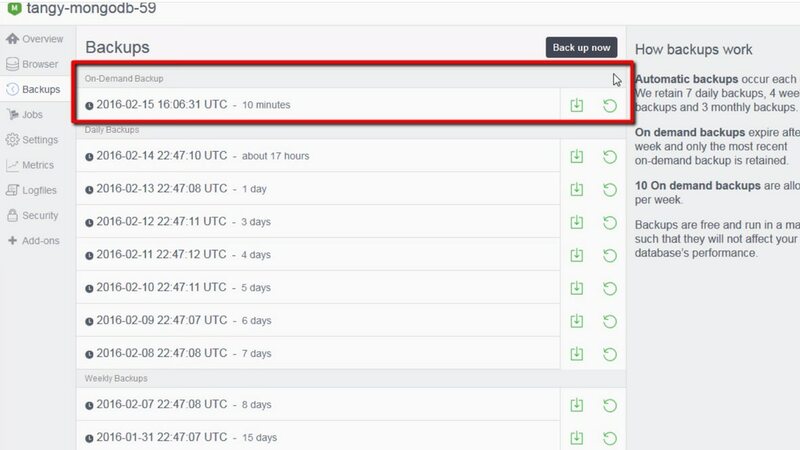 This video shows you how to create an on demand backup and restore a deployment from an existing backup. See how you may be able to enable add-ons such as New Relic, Syslog-NG, and Oplog access - depending on the database type for your Compose deployment.